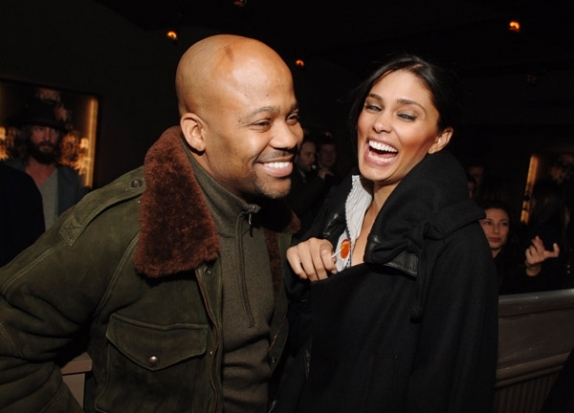 Damon Dash used to be partners with JayZ way back when and he also used to be hubby to Rachel Roy, the woman allegedly behind the Solange and Jay Z fight. I said allegedly because I am not sure I believe she is behind it and there has been no confirmation that she was but I digress. He did an interview at his Malibu crib where he dished on the JayZ -Solange incident. The interview was done the same week the fight happened by a friend of mine (Shonathen) who by the way needs to be hooking me up with some exclusives hahaha *wink*. Anyhoo like with a lot of media media ish, it’s just coming out now. Here are some highlights from the interview and after that the video. I was laughing! That sh-t was funny! I wouldn’t have handled it like that but I thought that sh-t was funny cause Jay is the kinda guy you don’t see him move like that that much. And when he does move, if it’s not that cool looking, then it’s going to be kicks. Also I feel like nobody teases Jay but me for some reason. It’s just the first time I’ve seen people freely expressing themselves. What I’m really happy about is when they were bombing on me about saying I was broke and all that that there wasn’t any Instagram cause I’m sure people would have had mad funny jokes. But I would have been getting back at n-ggas. I like to snap. His tone pretty much stayed the same through the interview, finding the whole thing funny. Anyways continue on to watch the video to see if he thinks Jay Z is messing with his ex wife Rachel Roy. I am not understand how Rachel Roy is in the middle of all of this. And is her and Dame still married? @Kareem, Rachel and Dame are divorced. Rachel is a scapegoat. They threw her name out there to deflect from Solange. I don’t think Rachel is an escape-goat, because that just stirs up more drama. Yet, we will never know. Damon Dash sound crazy. He is still living in the past, Rachel is the ex-wife, Jay-Z is the ex-friend.